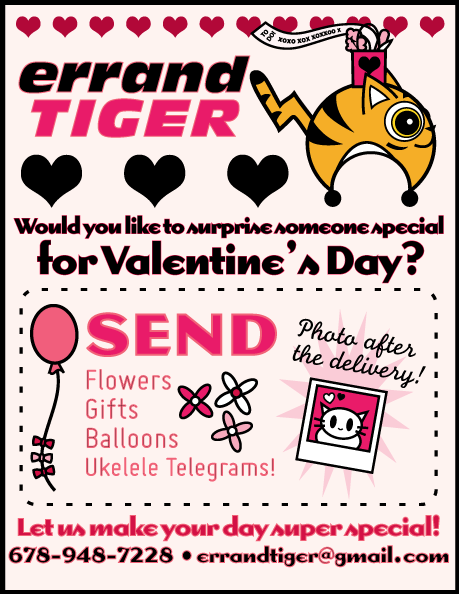 Super neat things are happening at Errand Tiger for the day of Love! We've got deliveries to make and ukulele telegrams to sing! Perhaps you need a little more time for you and your special person, we're still doing all the normal chores and errands too! Take an additional 5% off when you write a small review of your services on YELP.